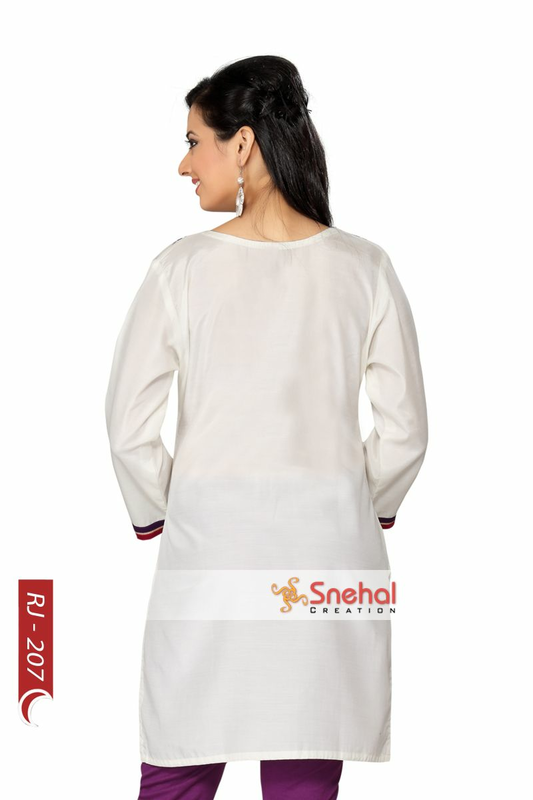 If simplicity is your cup of tea, it is party time for you with this beautiful designer kurti by Snehal Creations. This art silk tunic comes with a simple V neck that is decked with multi coloured beautiful embroidery all around it. The three fourth sleeves of the tunic have pink and purple taping at the edges like the base of the tunic. The Art silk as a fabric provides an excellent finish to the piece and make it wearable for most time of the year. 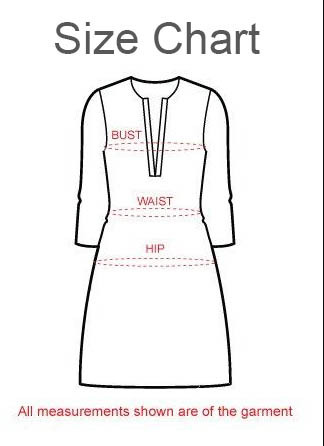 Teaming this tunic up with a contrast chudidaar would definitely bring out it beauty in an enhanced manner.